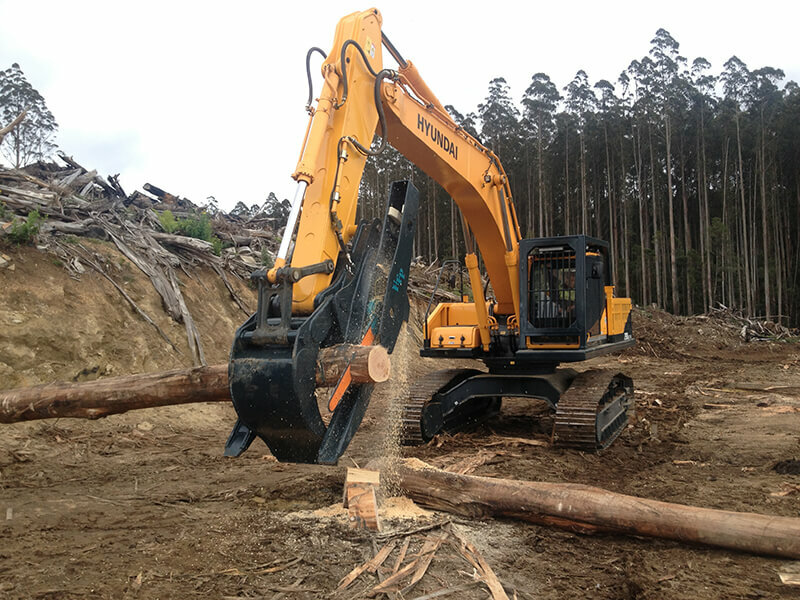 Purpose built log handling forks with built in cut off saw. 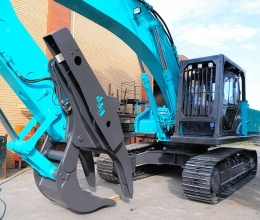 To suit 20 tonne excavators and above. 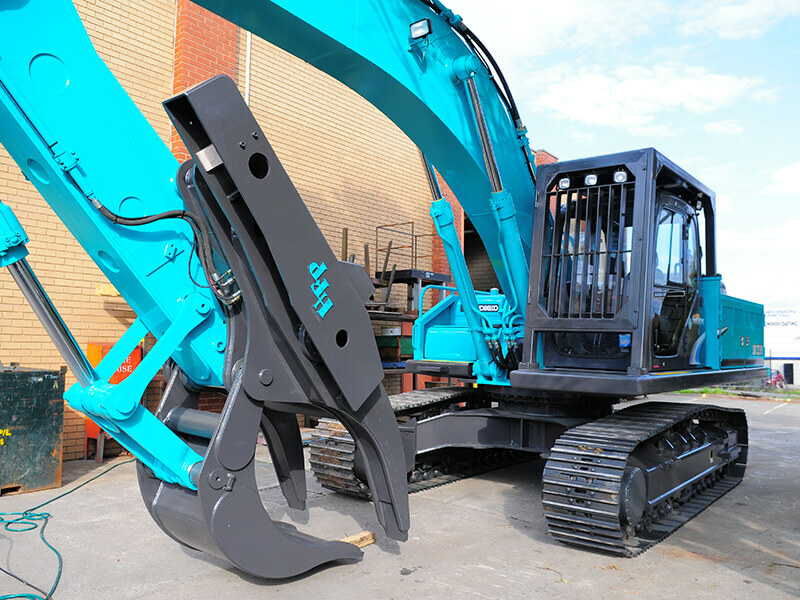 Saw components are housed within the main body of the forks with only the saw box on the side of the forks. 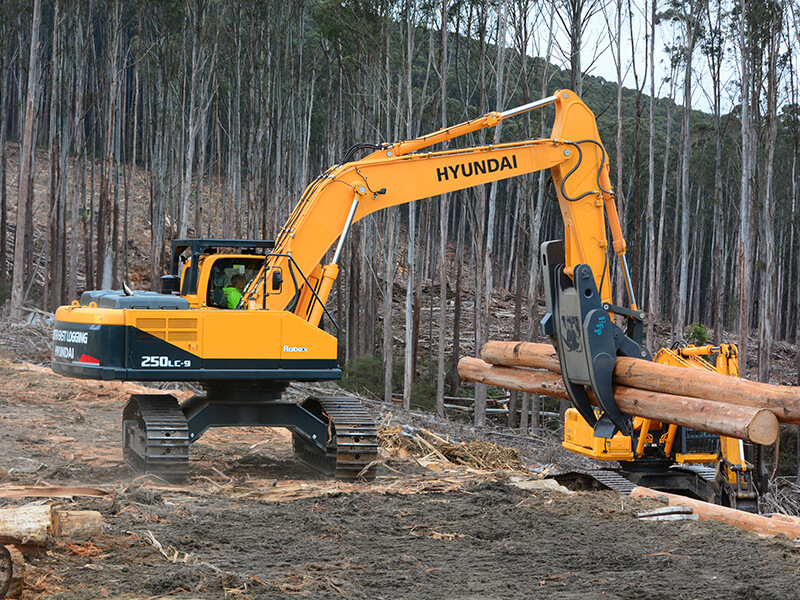 The saw box runs in line with the dipper arm and the saw bar travels approx 180 deg through its arc to cut the log. 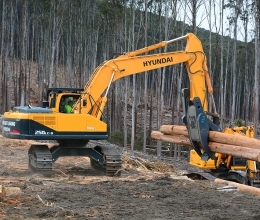 The saw is hydraulic in both directions. 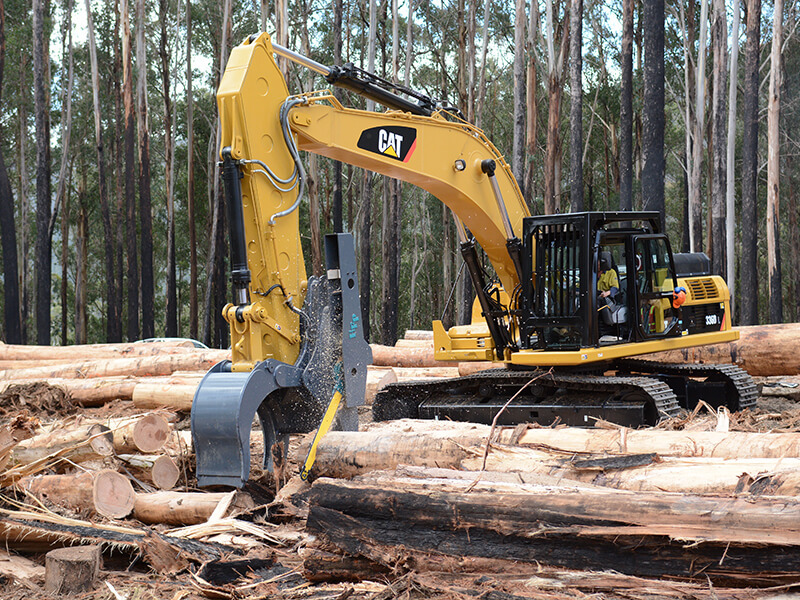 We also manufacture standard logforks without a saw fitted. 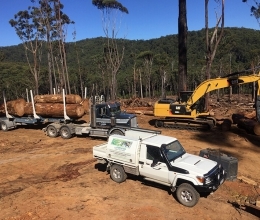 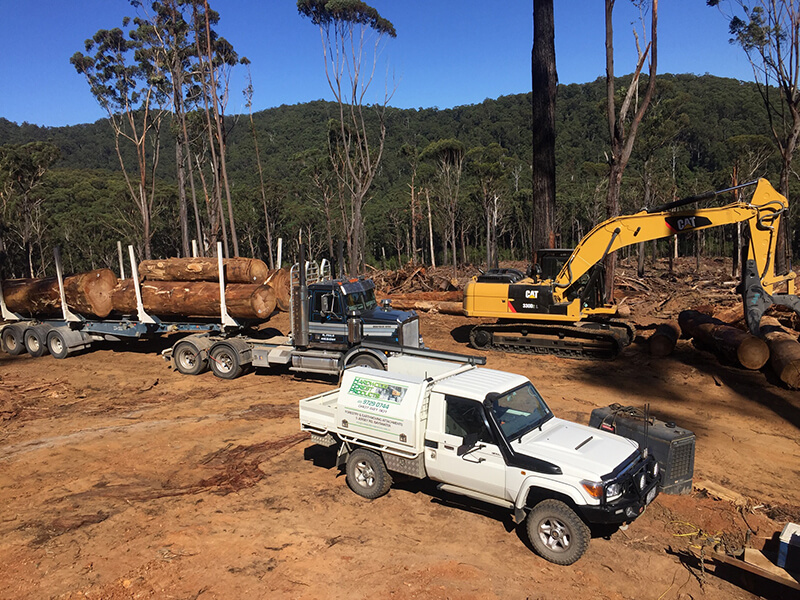 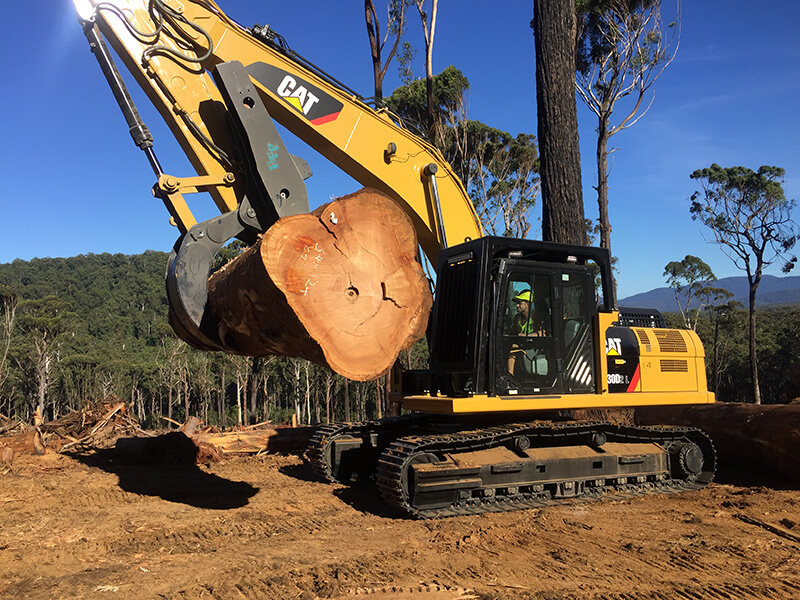 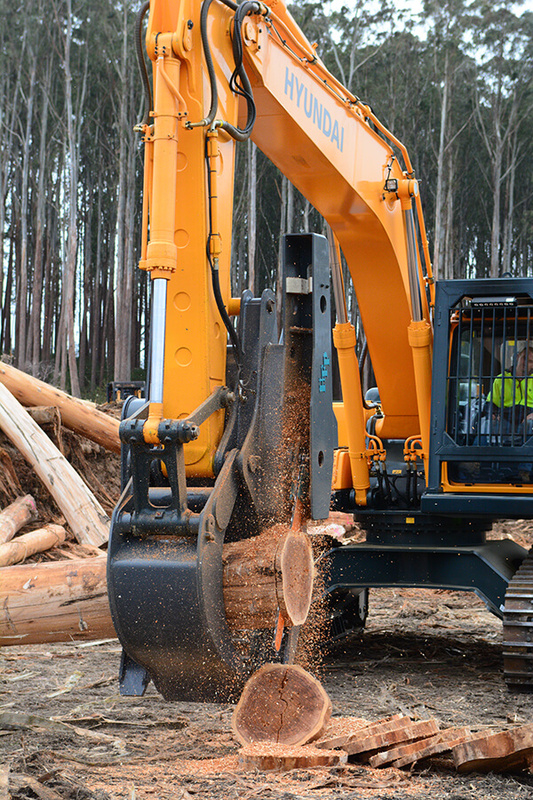 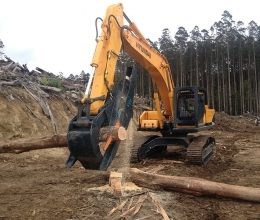 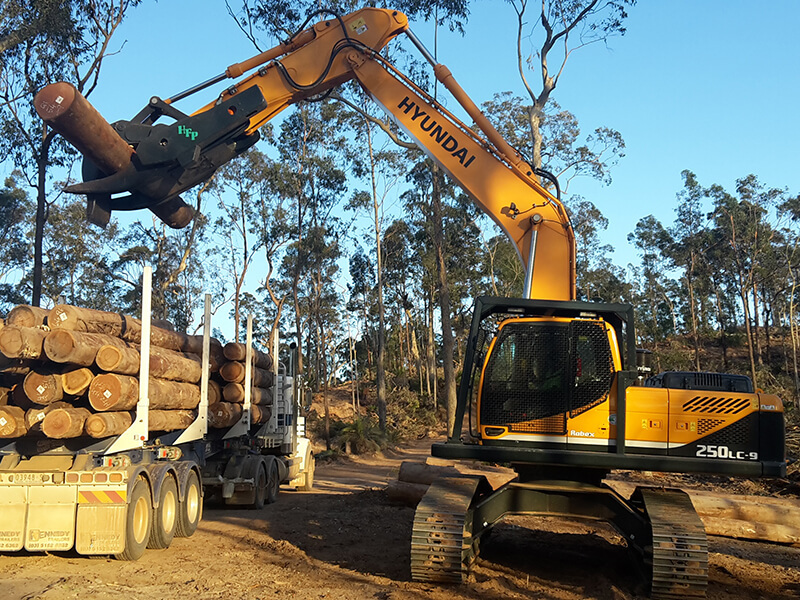 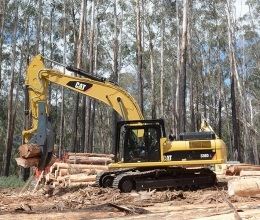 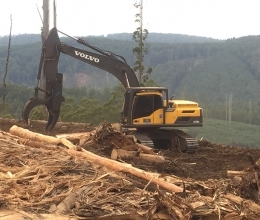 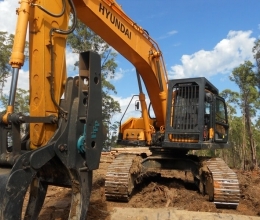 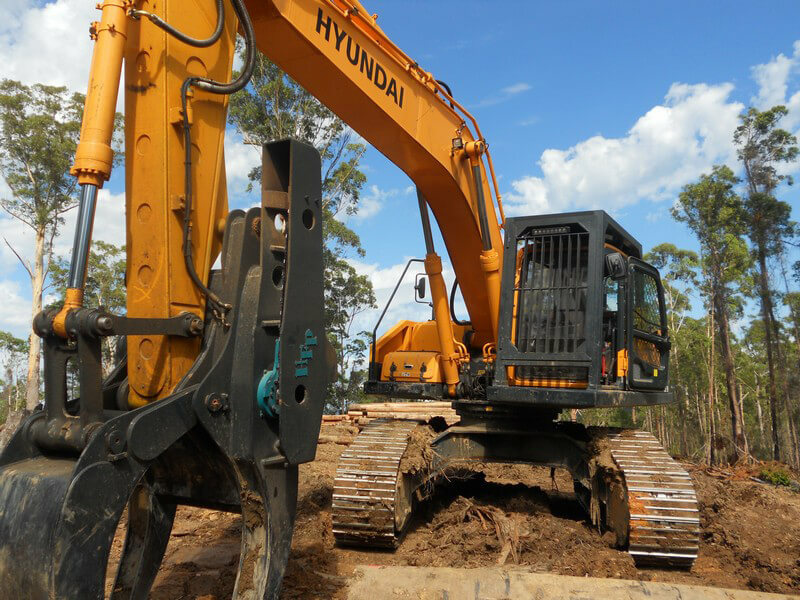 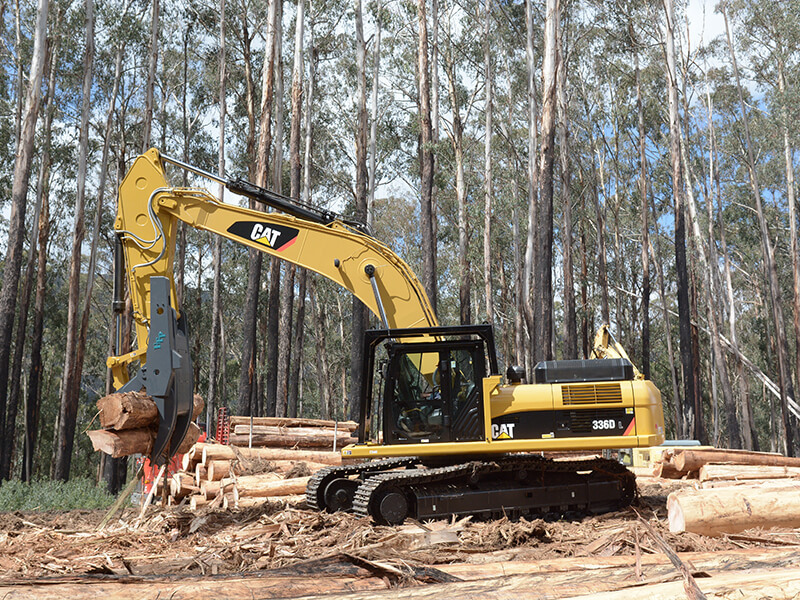 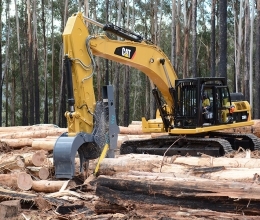 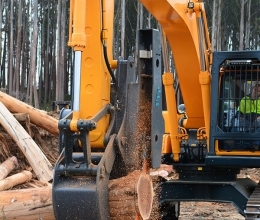 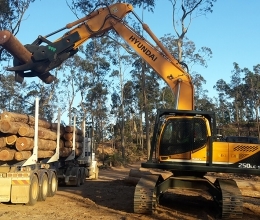 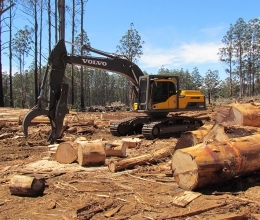 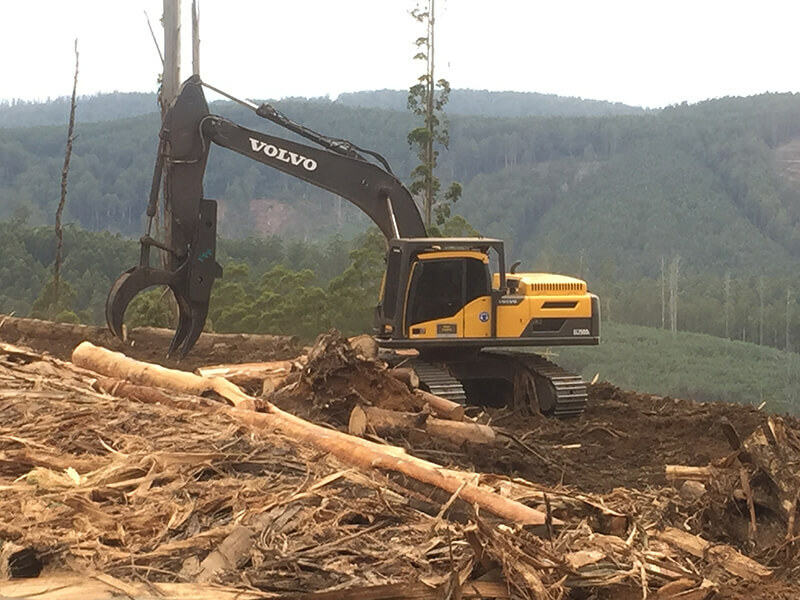 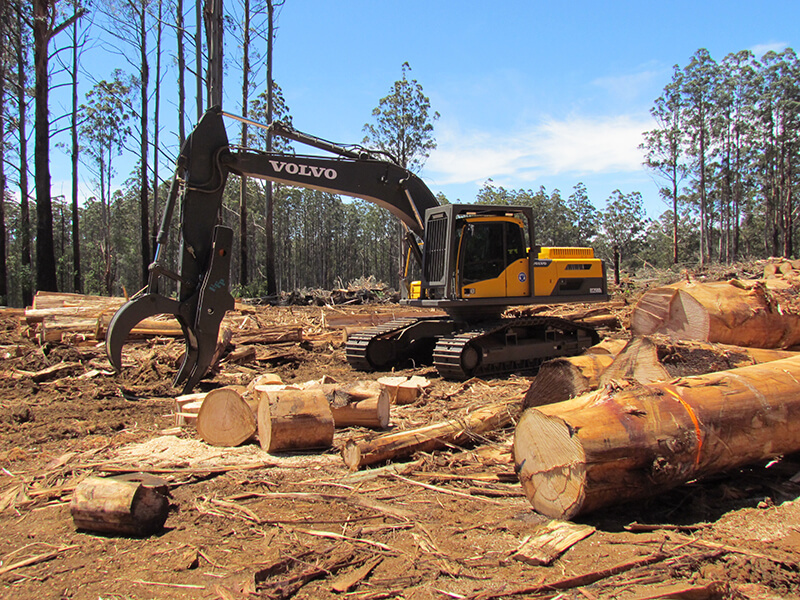 Hardwood Forest Products Australia specializes in the manufacture of forestry & earthmoving attachments, both standard and custom built to suit customer requirements/applications.